In case you haven’t heard, for the cookbook of the month series for the year 2011 I will be featuring food magazines (so now magazine of the month). 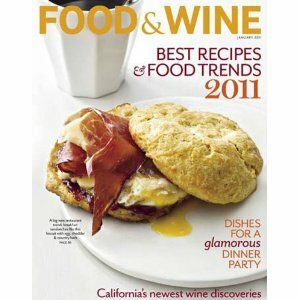 I first decided on Food and Wine because it was the first food magazine I started reading and had a subscription to. I love this magazine and although, at first the recipes may seem a bit tedious and daunting they all are not. For me Food and Wine is the King of all food magazines (ok my thoughts on this may change as I explore other magazines but of the ones I have read to date this is my opinion). It has everything from restaurant reviews, to interviews with chefs and foodies, to kitchen tips and reviews of specialty cooking/food items. And of course every issue has a section on wine: food and wine parings, popular wines of the season, tips on picking out a good wine, etc. Even if you are not a big wine-o, I find this information helpful in cooking and to speak knowledgably about food. This is a major plus to getting recipes from a food magazine (as opposed to a cookbook or even a magazine with recipes but one that is not known for recipes). About 90% of all the recipes in Food and Wine have pictures, good quality pictures at that. The number of servings are listed on all recipes, however the recipes only have a ‘total time’ listed (not a separate cooking and prep time). I will be honest, I don’t think Food and Wine is a beginner cook’s magazine. All of the recipes are written by chefs, which means clear understandable directions for a cook with a little bit more experience (due to terminology, ingredients, etc). This is the beauty of a magazine, the variety of recipes. Everything from condiments, to breads, to desserts, to soups, salads, and entrees; they have it all! Since there is such a variety of recipes this is a tough question to answer. Some of the recipes are extremely easy, allowing you to have dinner on the table in less than 30 minutes. While others are a lot more labor intensive. This falls into the whole variety of recipes. The large majority of recipes have readily available ingredients and none of the ingredients are too expensive; but this is not the case for all the recipes. Travel section: In each issue the Food and Wine staff take us to a different location and talk about the food, cooking trends and restaurants of that area. Not only are there restaurant reviews but they select one of the reviewed restaurants from that region and share a recipe. I totally think that Food and Wine is worth the subscription! All of the recipes I made (with the exception of one) turned out wonderfully! 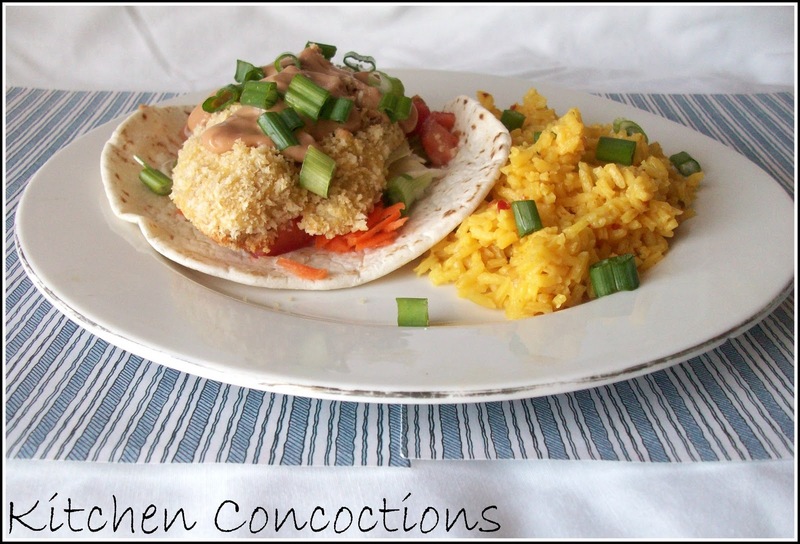 Fish tacos are such a nice change from the traditional ground beef version. And these are a crispy (even better because they are not fried) flavorful version. I love to eat comfort foods such as soups, stews and pastas when it is chilly out. They feel so homey and hearty. 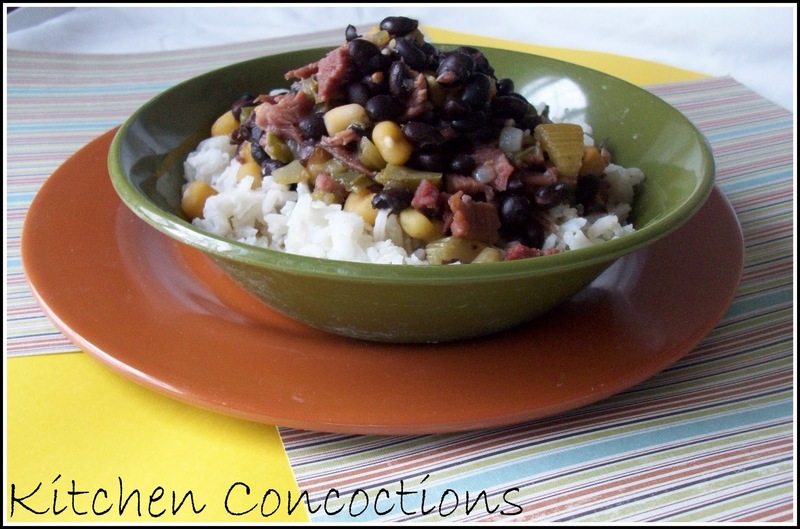 This Black Bean and Hominy Stew took me to that wonderful comfy place! 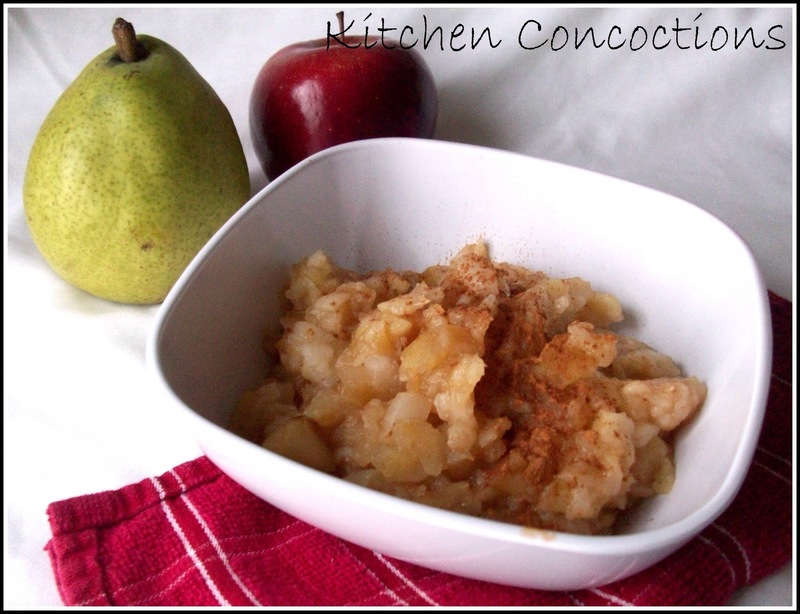 Speaking of comfort foods… this Pear Spiked Applesauce not only brought me right back to my childhood but tasted like hot apple pie but in a healthy kind of way! On the fence about broccoli? 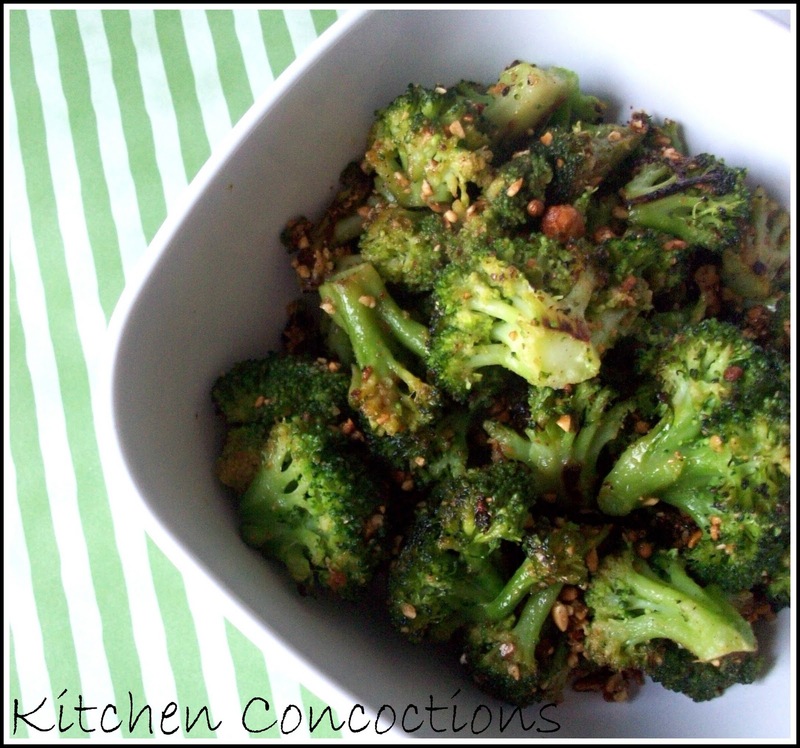 Well you will be on broccoli’s side after trying this unique Roasted Broccoli with Chili Butter! And well there is always a trouble maker among the group and these churros were them (so bad not even a picture). They were a bit of a disappointment but hey 4 out of 5 ain’t bad!